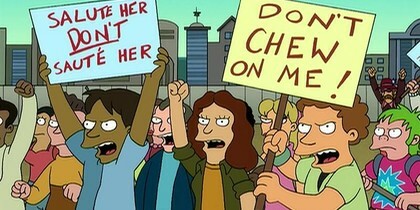 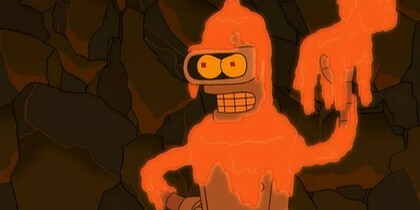 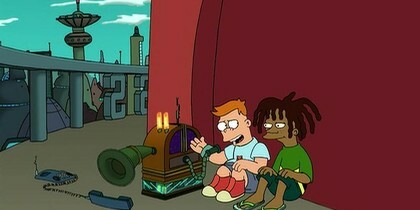 S5/E2: Bender apologizes to Fry for throwing Seymour in lava and risks his life to save the fossilized dog. 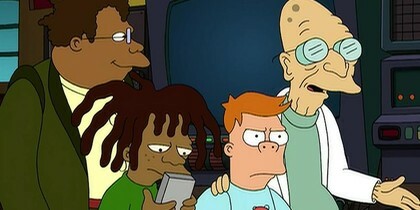 S5/E4: After eating Earth's flag on Freedom Day, Dr. Zoidberg finds himself an unlikely lawyer. 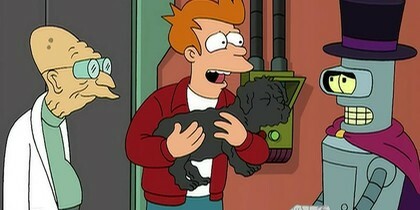 S5/E2: Fry and the Professor start the process of cloning Seymour, Fry's fossilized dog. 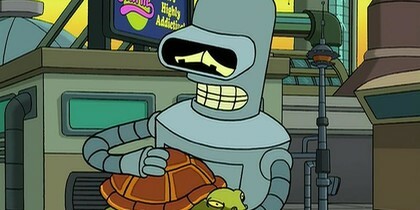 S5/E1: Bender saves a turtle, showing that he cares about one thing other than himself. 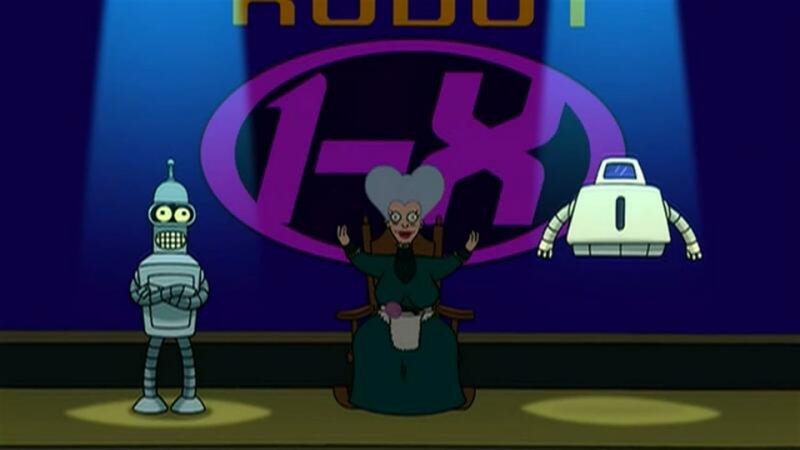 S5/E1: The Professor arrives just in time to tell the robots how to use their carbon emissions to save the planet. 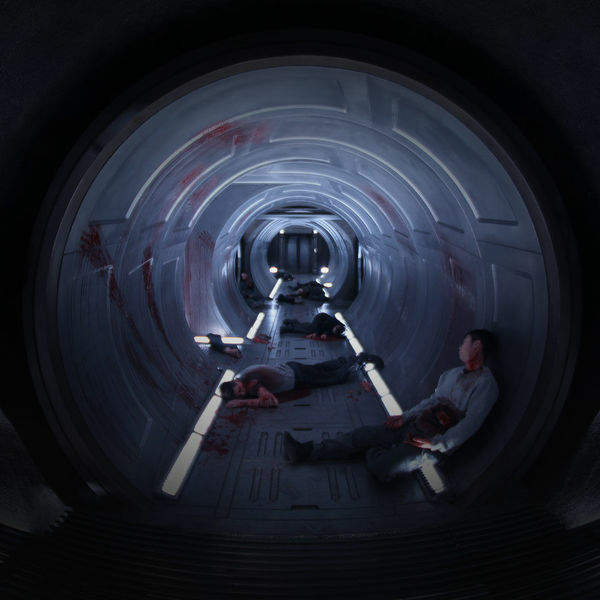 S5/E3: Dwight and Cubert get kicked out of boarding school. 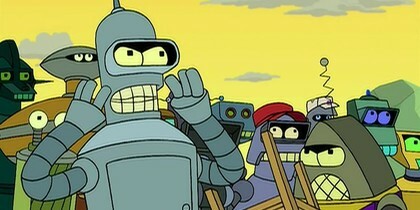 S5/E3: Dwight and Cubert send the team on a fake delivery.